If you regularly sell items on Craigslist or need to give out your number, getting a second phone line is handy as you can protect your privacy and prevent spam. Ottawa-based Hushed has brought back a lifetime deal offering 92% off a subscription for just $25 USD, a one-time payment. Need another phone number for your Airbnb, Craigslist listings or small business? 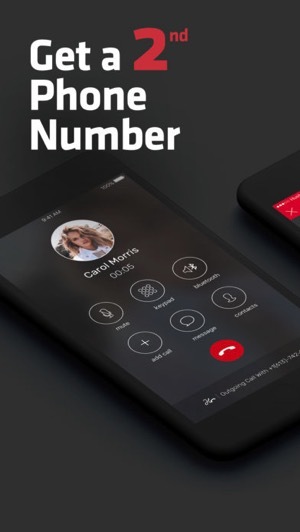 Hushed lets you get your own local Canadian or U.S. number. Their iOS and Android apps have been downloaded over 6 million times, with over 500,000 monthly active users right now, with 80% of them on iOS. 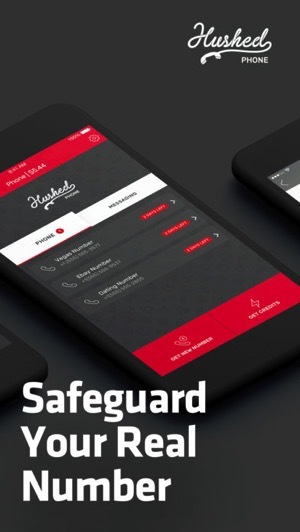 Speaking of the latter, their iOS app recently received a major 4.0 update, which brings end-to-end encryption and revamped user interface, plus improvements to their core private number service. The update also brings quick replies for text messages and CallKit integration, so answering a phone call uses the Phone app on iOS. Free messages between Hushed users. Activate “Hushed mode” and all your texts, pics and videos are erased! Fully customizable voicemail with personalized greeting. Send texts or pictures anywhere in the US. Block calls from showing your caller ID. Slack integration allows you to send texts directly from Slack. Set up super useful Auto-replies: a general response feature that can look for specific keywords to automate text message replies. Great for Airbnb owners! Sync with Dropbox to store texts, voicemails and pictures. Once you jump on this offer, login details will be sent to your email. From here, download Hushed for iOS, login and then choose your U.S. or Canadian number. At checkout, select the “FREE” option as seen below and boom—your lifetime Hushed number is at your beck and call. While free texting apps exist in the App Store, Hushed says theirs is a premium app which comes with more features, a better design and easier to use interface. Click here to jump on this lifetime Hushed offer for $25 USD—use promo code HUSHED25 at checkout while it’s still available. Time to say good bye to phone spam with your new second phone line. 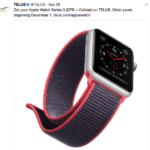 Hushed is an affiliate partner of iPhoneinCanada.ca—this offer allows readers to support the site and help us keep the lights on.